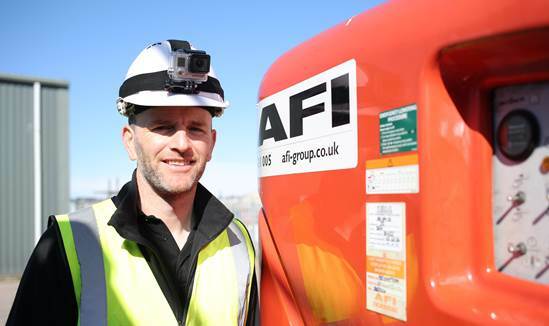 The AFI group of companies has announced its latest webinar will be on Tuesday 13th November at 10.30 am during PASMA Tower Safety Week. Brian will be outlining the versatility of mobile access tower products and how they can provide safe access for a wide range of tasks. During the webinar, he will be discussing the forthcoming changes to tower product standard EN1004 and make clear why you should always inspect a mobile access tower and what to record. The webinar session will also provide insight into the changes for low-level access following the introduction of BS8620 and a review of the top five mistakes people make when using mobile access towers and how to avoid them. About the Presenter - Brian has held senior health and safety roles within the working at height sector for nearly 20 years, including 15 years as a senior IPAF training instructor. He is an IPAF UK Council member and Chairman of the PASMA Training Committee. He is a current member of IPAF Training Committee, an active member of the Strategic Forum Plant Safety Group MEWPs committee, and a member of the HAE Tools, Plant and Equipment Board. About the Webinar - Why should you attend? Learn and fully understand the importance of why you should always inspect a mobile access tower and what to record. Insight into the changes for low-level access following the introduction of BS8620. Discussing the forthcoming changes to tower product standard EN1004. Review of the top five mistakes people make when using mobile access towers. Understand the safety procedures involved.